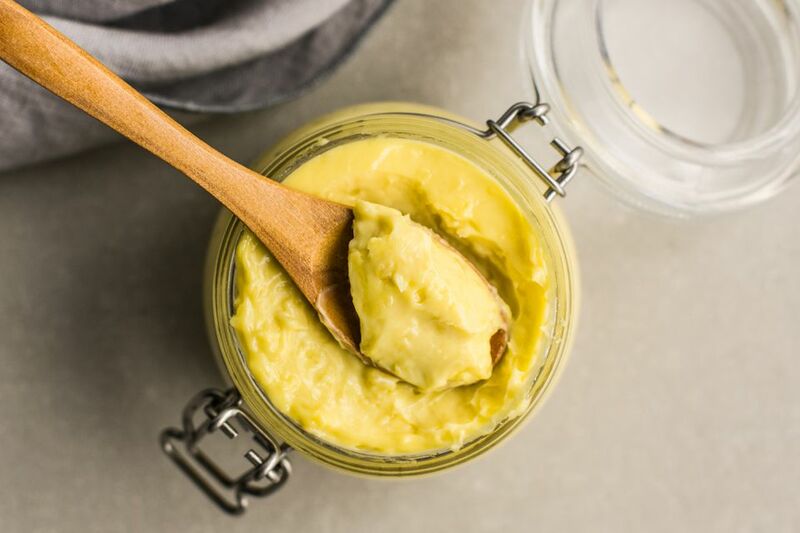 Alioli (often called "aioli" in English) is one of the most common Spanish sauces. The original recipe is said to have originated in Catalonia in the northeast of the country on the border of France. The fame of alioli has spread all over Spain and is a popular sauce for a variety of traditional foods. The name alioli comes from the Catalan words for the two main ingredients all (garlic), i (and), and oli (oil). It is quick, easy and very flavorful, so it is easy to understand why it is so popular in Spain. Serve it with meats, fish, or vegetables - or just spread it on bread. The Spanish also use it as an ingredient in main course recipes. This recipe makes about 1 1/2 cups and uses two egg yolks, which makes it bind easier. Traditional recipes omit the egg, which makes the emulsion more difficult to achieve. First, peel and mince the garlic. Using the flat side of a large knife, crush the garlic. Crack the eggs and separate the yolks into a small mixing bowl. Transfer the garlic paste to the bowl and whisk to blend. With a hand mixer on low speed, slowly pour in the olive oil in a very thin, steady stream until a creamy sauce begins to form. Add the touch of lemon juice slowly at the end, while keeping the mixer on to ensure that the sauce stays smooth. Serve with fish, as a condiment for your favorite sandwich, or as a dipping sauce for your French fries. The traditional version of this sauce did not have egg yolks, but the yolks make it easier to blend. Feel free to omit the eggs, but be ready to work! Also, if you enjoy spicy sauces and the fresh garlic flavor is not enough, after the sauce is made, season it with cayenne pepper for a spicier taste. For a mellow and flavorful version, infuse the lemon juice with threads of saffron before adding to the alioli. This will give you a beautiful saffron alioli.